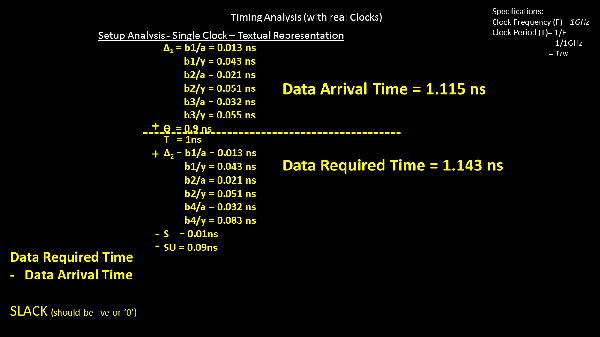 With On-Chip variation, we might introduce extra pessimism in clock path, common to launch and capture flop clock pins. How? 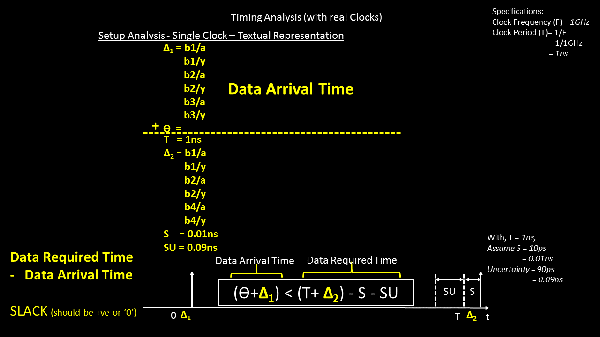 I will get back to this in below post (or may be next one). 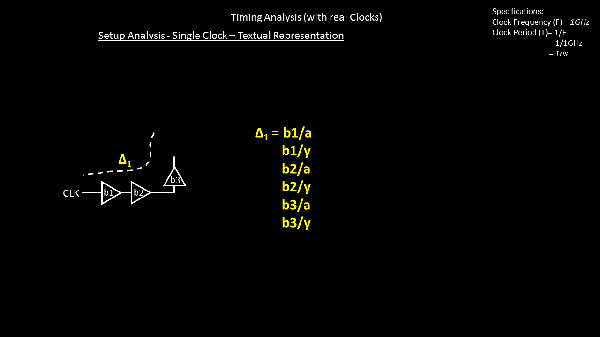 A timing report without real numbers, is like “A body without skeleton” 🙂. 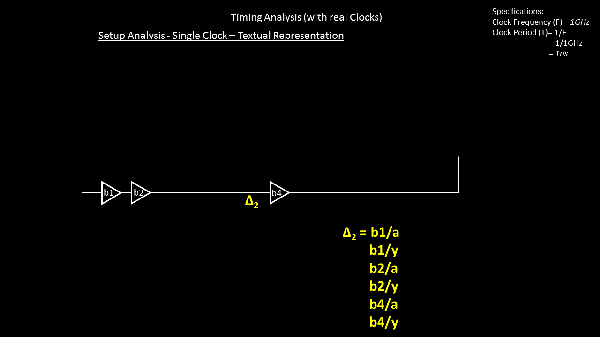 Notice, b1 and b2 are common cells in launch and capture path. 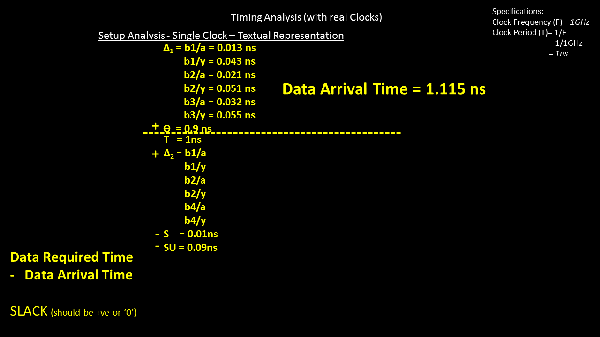 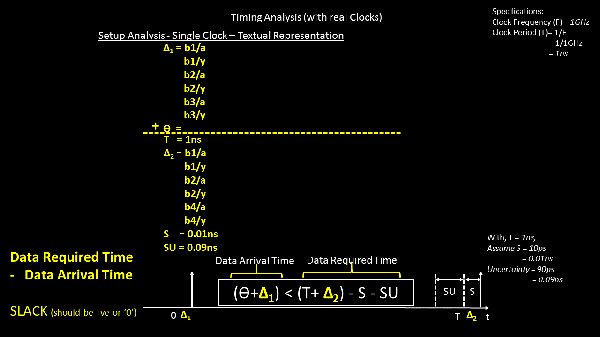 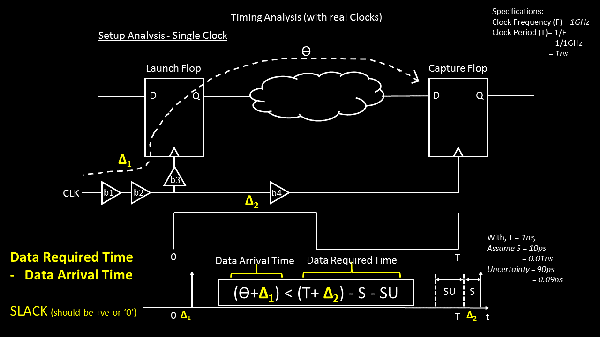 So while assuming numbers for capture clock path, the delay values for these cells will remain same as shown below.